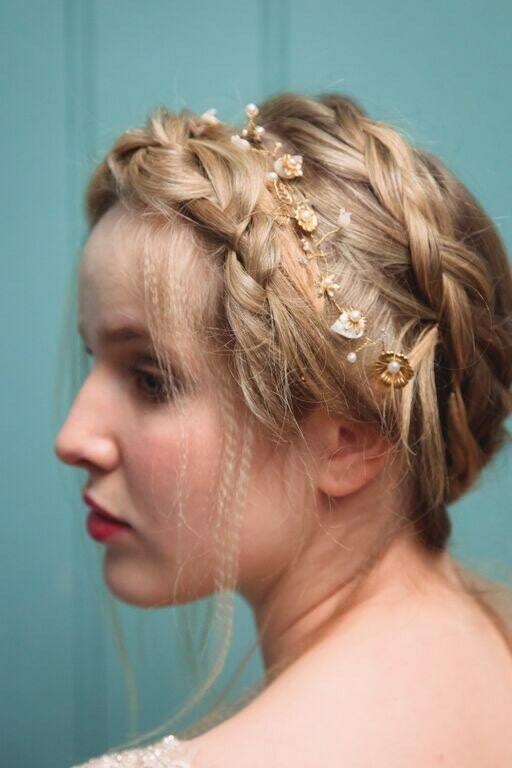 Gold and pearl hair vine. Bridal Hair vine. Bridal Hair Accessories. This delicate hair vine uses a variety of brass flowers, leaves, mother of pearl and freshwater pearls. This piece would be perfect for a rustic/woodland wedding. Simply grip in place. Due to the handmade nature of these pieces each vine will be slightly different to the last. That way you have a unique item, a one off piece! If you have any requests do not hesitate to message me. Available in longer or shorter lengths even a halo upon request.